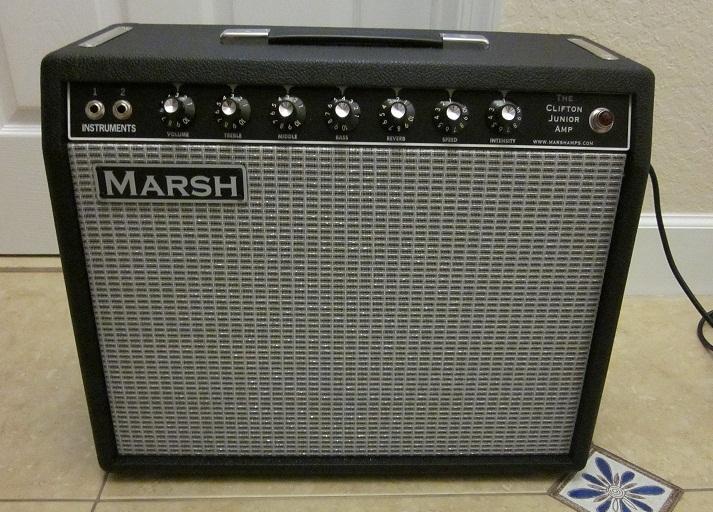 The Marsh Clifton Jr. An exact replica of the 65' AA1164 Circuit 14Watt Californian BF classic!!! Us Made HeyBoer Transformers, JJ and Sprague atom Electrolytics, Orange Drop Coupling Caps, Cloth Wire, Point to point on Fibeboards (Old School)!!! Our Clifton Jr. comes standard with a 12" Jensen Ceramic Speaker or upgrade to Weber Alnico's or For Max Headroom the Eminence Tonkerlite (101db)!!! Our's comes with a Mid Control!!! Master Volume and Bias Test points optional!!! 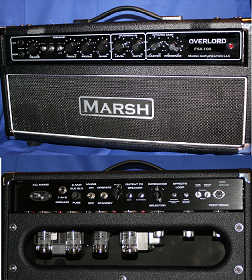 Like all Marsh Amps, have a 6 week lead time! International Customers: All replicas and kits are shipped by Fedex or DHL Economy. Please email us your shipping address so that we may provide a shipping quote. Thank you.